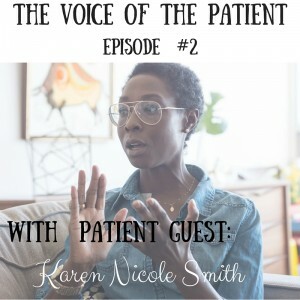 The Voice of the Patient is brand new on Tuesday, April 19th! We have our very first guest on the show – Karen Nicole Smith. After this interview, you’ll definitely want to follow her on Twitter and through her website. If you or one of your patients is interested in being a guest on The Voice of the Patient, please reach out through the “Keep In Touch” tab at the top of the page.